My office! 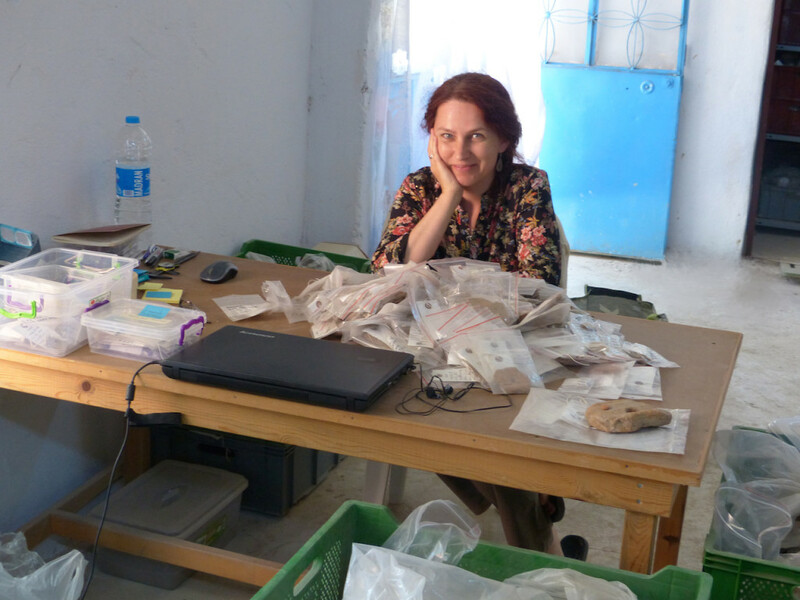 The small finds, once they are brought in from the field and properly conserved (if needed), are brought to me for identification and analysis. 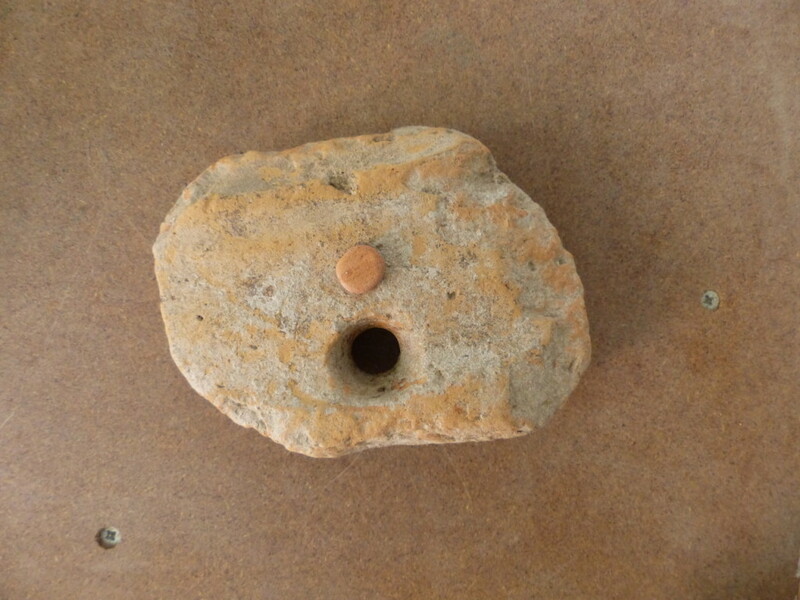 Many of the finds brought in are easily recognizable as utilitarian objects, while others are mysterious and require more thought! Here are two items that share a similar round shape and ceramic material. 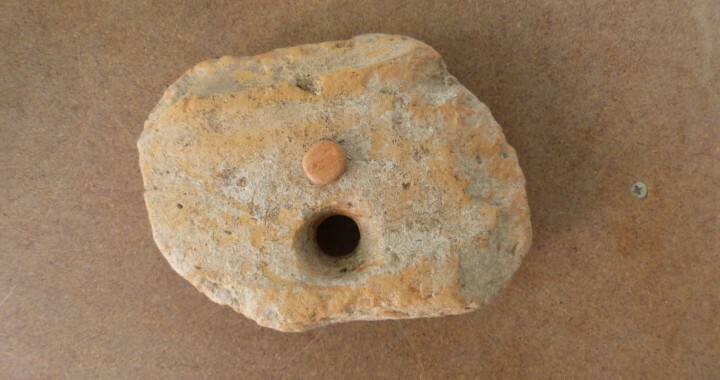 The larger quotidian loom weight was used for weaving (it was pierced so it could be tied to weigh down the end of a string of the loom), whereas the small “token” has an unknown function. 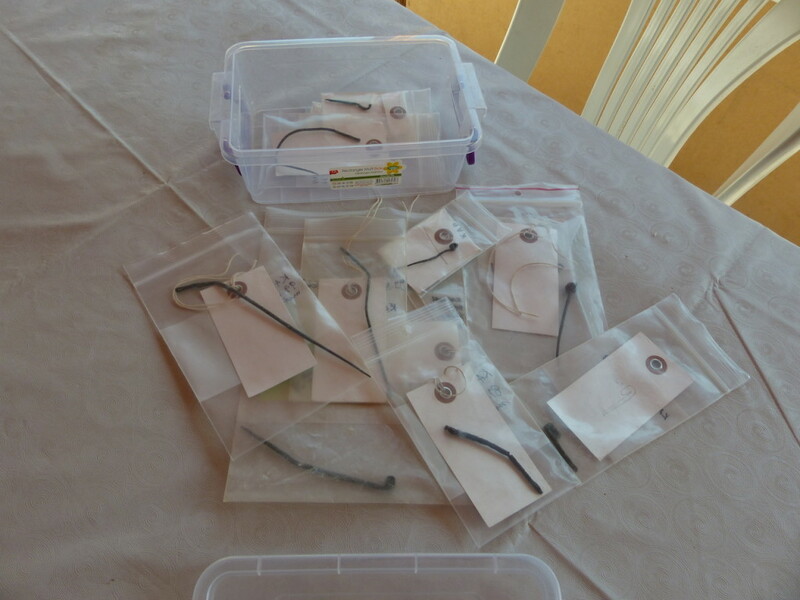 Here are some of the bronze pins excavated last year. These are some of the nicer objects I handle on a daily basis. Posted in Ceramics, Excavation, Samples Lab, Voices.